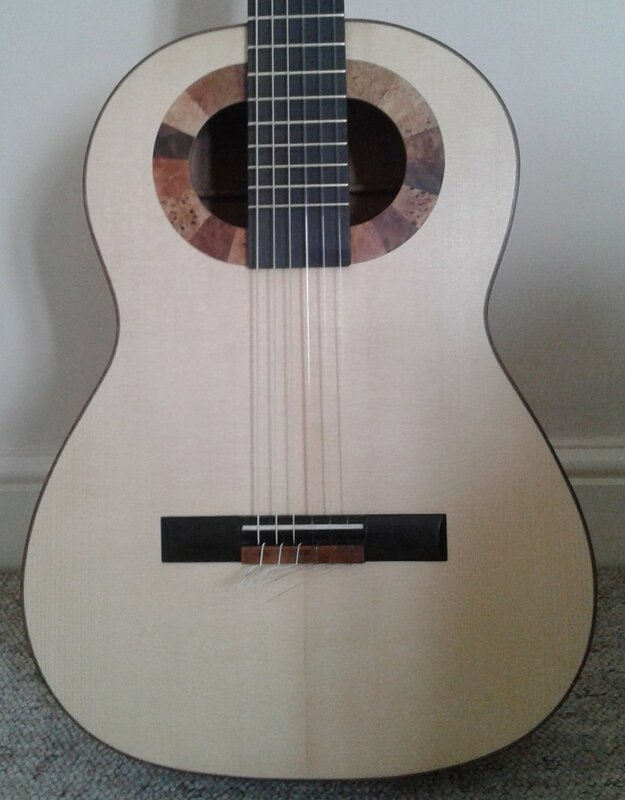 Examples of guitars with double sound holes were made early in the 20th century, notably by the Spanish luthier Francisco Simplicio, who was born in Barcelona in 1874. Simplicio used a variation of traditional strutting. 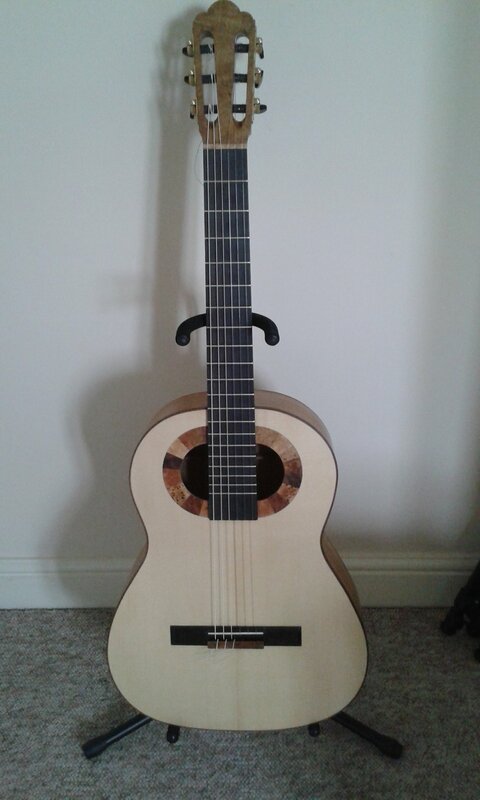 Contemporary makers have experimented with different strutting designs, within the parameters of the larger soundboard area achieved by moving the sound holes towards the upper section of the guitar. The lattice strutting design shown here produces a guitar with exceptional volume, projection and sustain. 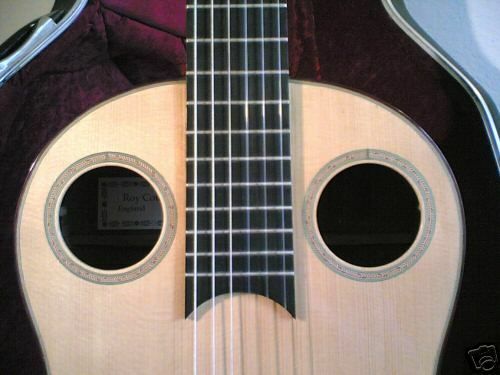 The plans offered here show both a double semi-circular design and a double circular sound hole design.